Developers with their hands on iOS 9 beta 1 have noticed something interesting in the Settings app. It seems Apple is adding content blockers in the software update, making it possible for Web content like images or pop-ups to be suppressed on iOS devices. In particular, developers can create app extensions that supply a JSON file to Safari, which screens incoming Web content without feeding browsing history back to the extension. Xcode in fact includes a template for such extensions, only requiring developers to edit the JSON file to add triggers and actions. The move should allow for a better browsing experience on iOS. We all know there’s nothing worse than a pop-up tab appearing while surfing the Web on Apple’s iPhone or iPad. In iOS 9, this should be limited or even eradicated through the new feature. 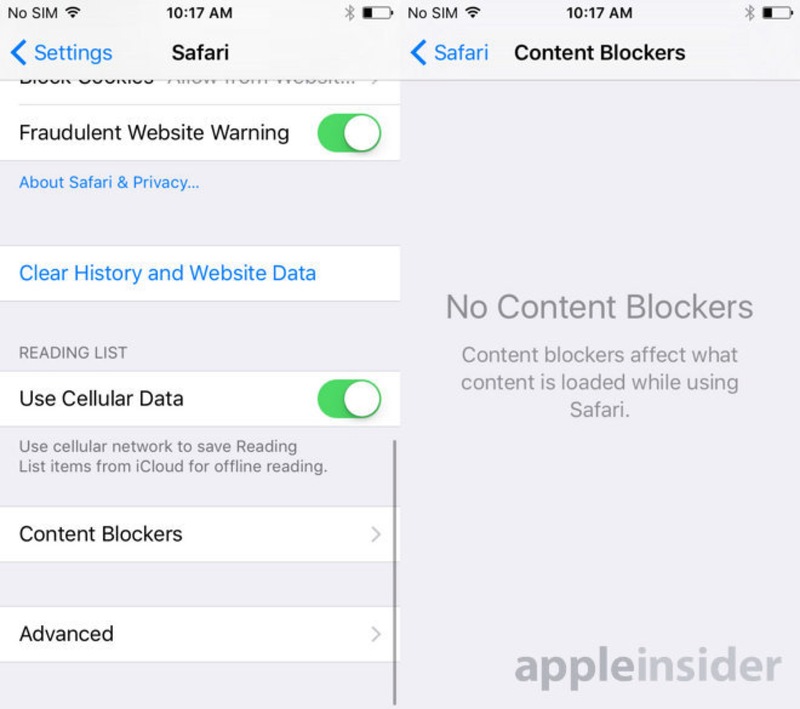 AppleInsider adds that content blockers will be enabled in OS X El Capitan, the updated Mac OS which is also launching in fall. There’ll also be an update for the Apple Watch’s software, watchOS 2.0, launching around the same time. Apple’s WWDC 2015 keynote brought lots of exciting news, and we’re still hearing of more changes in iOS 9, OS X El Capitan, and watchOS 2.0. Check back with us for further news as we receive it. In the meantime, see: Apple’s iOS 8.4 will offer a permanent fix to the iMessage crashing bug, Incipio acquires ClamCase, the iPad keyboard case maker, and Draw your own paddle for total control in Swipe Breaker.